Johannesburg - The South African Social Security Agency (Sassa) has appointed Abraham Mahlangu as acting CEO, replacing Pearl Bhengu who took up the position in July 2017, a spokesperson confirmed to Fin24 on Saturday. "Mahlangu has been appointed on an interim basis, following Bhengu’s departure who had requested to be sent back to her provincial post in KwaZulu-Natal," said Paseka Letsatsi. Mahlangu is a former Chief Information Officer at Sassa, and will become the agency’s fourth CEO in less than two years. Bhengu had replaced Thokozani Magwaza, who resigned from the job, after a fallout with former Social Development minister Bathabile Dlamini, over a controversial social grants payment contract. 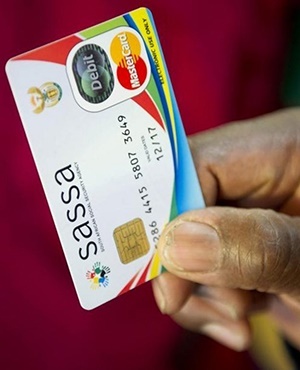 Sassa, which is tasked with distributing social grants to millions of poor people has been embroiled in governance challenges, since the agency failed to appoint a new payment contractor to replace Cash Paymaster Services (CPS). In 2014, the Constitutional Court ruled that the contract the agency signed with CPS in 2012 was illegal and invalid. In April 2017, the court suspended the order of invalidity until March 31 this year, to allow the department of social development and Sassa time to find a new provider. Last month, the Constitutional Court extended CPS’s contract for another six months, ending September 2018, so that cash payments for 2.8 million beneficiaries could continue in the interim.